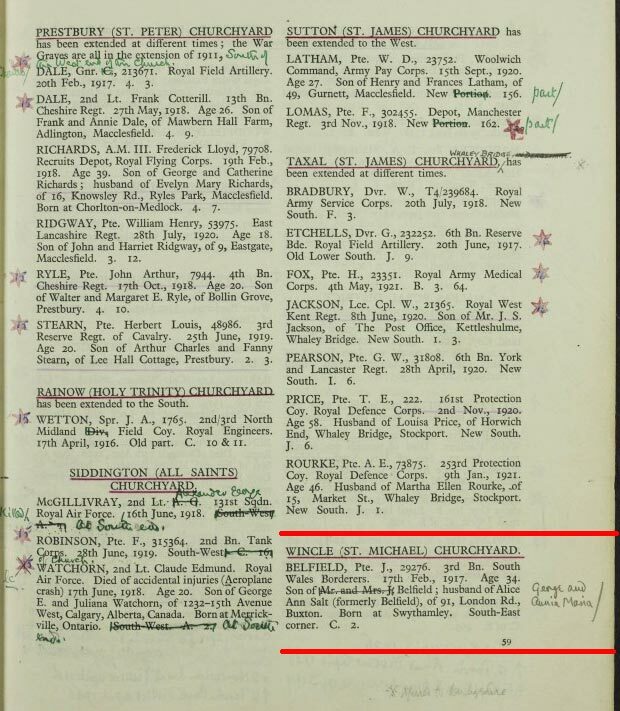 Joseph Belfield was born on 16 July 1881 to George and Annie Marie Belfield (nee Clowes) of Thorney Lee, Leek Frith, and baptised at Meerbrook Church on 25 September. By 1891 he was living with his parents and brother George at (Far) Back Dane, Leekfrith (now Back Forest). Ten years later he was working for his grandfather as a cattle man at Old Springs in Swythamley. Shortly afterwards he started working for Lord Derby on his Wildboarclough Estate; there he met Alice Ann Poyser whom he married in June 1906 (in Rusholme, Manchester, of all places) and by 1911 he was living with her as a tenant farmer of Lord Derby’s at Higher Bank Farm in Saltersford. He enlisted towards the end of 1916 and was still in training as a private, no.29276, in the 3rd Battalion South Wales Borderers when he caught influenza during an exercise. He subsequently died of double pneumonia in hospital at Waterloo near Liverpool on 17th February 1917. His death was reported in the Macclesfield Courier of Saturday 24 February 1917 and it gave his address as Millock Cottage, Wincle (the location of which is unknown to us today). 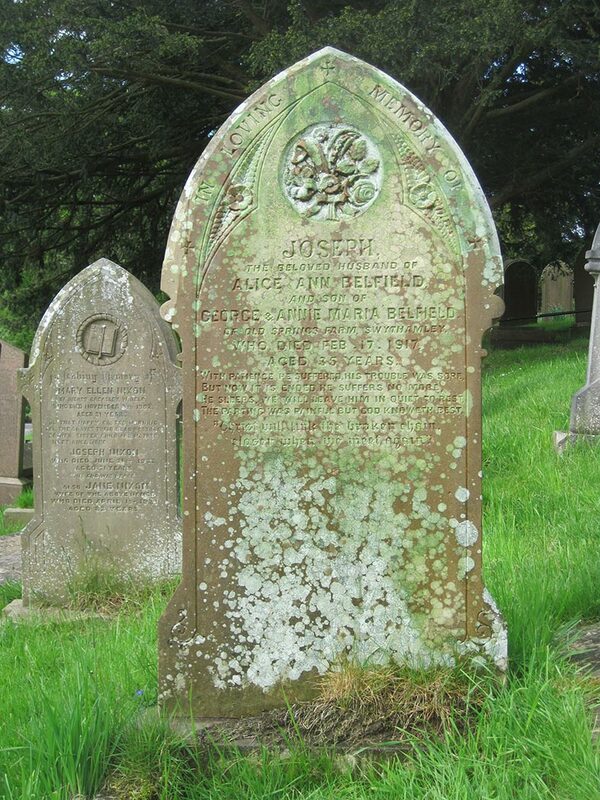 Joseph is buried in Wincle churchyard where his parents and grandparents are also buried. 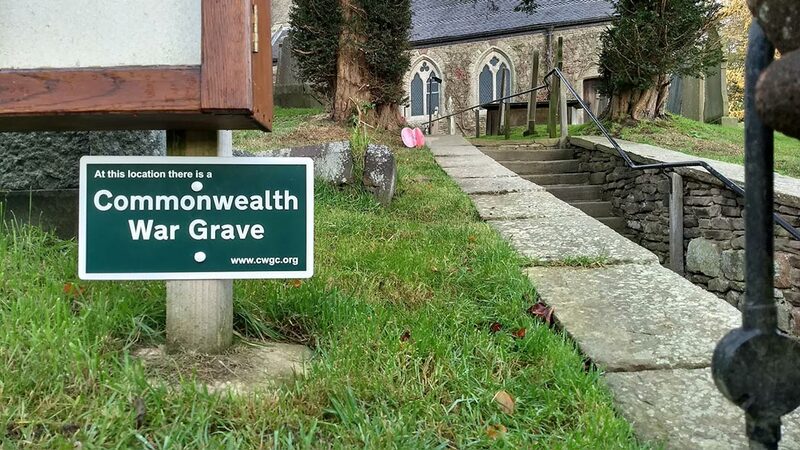 This grave has been designated an official Commonwealth War Grave. As he had not served abroad he received no medals. His widow was given £1 18s 5d in back pay, but no war gratuity as he had been in service less than 6 months. She remarried later in 1917, became Alice Ann Salt and went to live in Buxton.